Valve had announced a new Dota 2-based card game called ‘Artifact’ at TI7 last August, promising to launch it sometime in 2018. The company has now finally revealed the first details about it to the media in a closed doors presentation. According to Valve President Gabe Newell, the game is currently in closed beta, and is only available to a select few. It is slated to be released later this year, with the first tournament scheduled for Q1, 2019. The game will be available on Android and iOS by mid-2019. 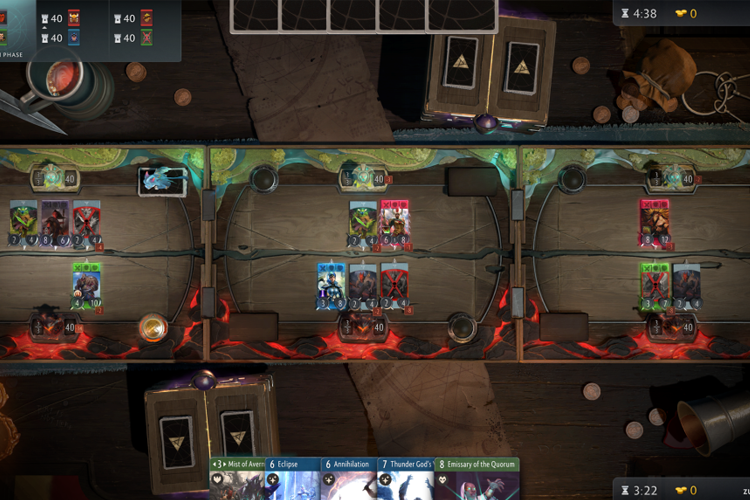 The one thing that sounds interesting about Artifact is that it will come with an AI assistant software that will be capable of teaching novice players moves in the game and walking them through the gameplay. Newell also revealed that the game will have a marketplace and workshop that will allow players to trade in-game items, which means it will fall in the same genre as heavyweights like Hearthstone. The final thing to note here is that Artifact will not be free-to-play, something that may not excite many gamers around the world. Meanwhile, Artifact isn’t the only game Valve is working on currently. According to an announcement from Newell last month the company is working on three big VR games. According to him, “Artifact is the first of several games that are going to be coming from us. So that’s sort of good news. Hooray! Valve’s going to start shipping games again”. With a view towards integrating its hardware and software offerings, Newell also said that the “new arrow we have in our quiver is our ability to develop hardware and software simultaneously”.